What news or developments in information technology caught your attention as an IT professional this past year 2018? And what do you think the coming year 2019 has in stock for us as IT professionals? We asked about this in last week's newsletter and readers have responded with their observations and prognostications. So let's hear now what some of our readers have to say concerning this. And if any of you have other thoughts or predictions you want to make concerning what's been happening and what's ahead in for us as IT professionals you can send an email to us at [email protected] and we can include your comments in our first issue of WServerNews for the coming year. By the way, check out the Mailbag in this week's newsletter for some reader comments about the risks/rewards of our societies going cashless. And be sure to check out the Ask Our Readers items below and send us an email if you can help out with any of the issues. Thanks!! Which reminds us -- Happy New Year to all of our newsletter readers, you're the best!!!!! In response to your question about what caught our attention in the last year, MFA/2FA was it for me. In the coming year I believe we're going to see greater emphasis on hybrid cloud. It's already out there and many enterprises are using it but I think the reality of cloud costs is kicking in and customers are pushing back on that now but that's not the whole story. In addition, GDPR and POPIA (in South Africa where I live) are regulations that have caused many to want keep their data close to home due to data sovereignty related laws and the complexity of dealing with them. For example, AWS recently released news of their own hybrid offering whereby they put their tin on your premises AND they provide all the service and support for it. Why? They cited data sovereignty and compliance as something their customers are concerned about. I think we'll see a lot more along these lines in the coming year. It's better to be safe than sorry, especially as the holiday season approaches. Drive safe too, and happy holidays! For peace of mind this festive season, get your Free VMware and Hyper-V Backup with Replication from Altaro! Award-wining VM backup solution, characterized by ease of use, affordability and best support. To celebrate the holiday season and show our appreciation, Veeam is offering three lucky winners a free trip to VeeamON 2019 in Miami! I'm with you on this. I don't want to live in a cashless society either for a number of reasons. First of all, cash is still incredibly handy & more importantly private; no one can track cash transactions and that is one of the reasons why they'd rather you paid with your card. Also, there's no money to be made from cash transactions unlike credit card transactions where vendors are charged a fee for every purchase made. Secondly, cash isn't a personal item. If you drop your cash in the street, then oh well, you may have lost a few bucks. You'll get over it. If you lose your credit card however, then you better call your bank and cancel it quick or some good-for-nothing might get their hands on it and start hacking into your life. And while we're on the subject, when you do cancel your card(s) that you may have lost, what do you intend to pay with in the meantime? Of course you can use your phone but you'd better not lose that too! Let's say that China suddenly went cashless overnight and the banks (and by extension the government) took control of everyone's finances. This article makes the point that lower interest rates are already offered to 'good citizens' as rewards for toeing the party line. Seeing as the Chinese government has already banned over 11 million people(!) with bad social credit from flying, it's not a huge stretch to envisage them using this same system to cut people off from their finances once their scores drop low enough. I think we can honestly say without any irony that this is behavioural programming on a scale that Stalin and the Stasi could have only dreamt of. The worst part is that anyone who is associated with someone with a bad score will also see their score drop as a result. This encourages people to disassociate themselves from friends or family who are seen as 'bad citizens' or at the very least encourages them to keep these rogue citizens in line. All in order to preserve their own precious credit score. Rant over. Tin foil hat is back on the shelf! Hi Mitch, another thought provoking newsletter. I've been thinking about the cashless society recently and its ramifications for parts of society. In Australia, there has been a move to pay unemployment benefits to a restricted card that does not allow cash out and cannot be used to purchase alcohol or cigarettes. Whilst the aim is noble (if you are being paid unemployment benefits then you should be avoiding spending money on luxuries) the problem is that people will always find a way around this. In my experience, I find that I rarely carry cash, and this can be an issue when I come across a supplier that does not have electronic transaction methods. e.g. I went to a salvage yard recently to get some spare roof tiles and found that they only accepted cash. Fortunately I was able to do a direct transfer to his bank account, but I understand the desire to have a cash flow. Many times this is used as a way to avoid paying tax, however the tax office is getting smart around the cash economy. Another thing is that the ability to track where and when payments are made makes it easier for advertisers that are tied into banks to target likely marks. The ease with which tap and go transactions can be subverted makes it easier for thieves to steal a card (or even clone it without having to actually steal the card) and rack up small purchases. If you are not aware that your card has been cloned, you could be in for a nasty surprise when you get your monthly statement. 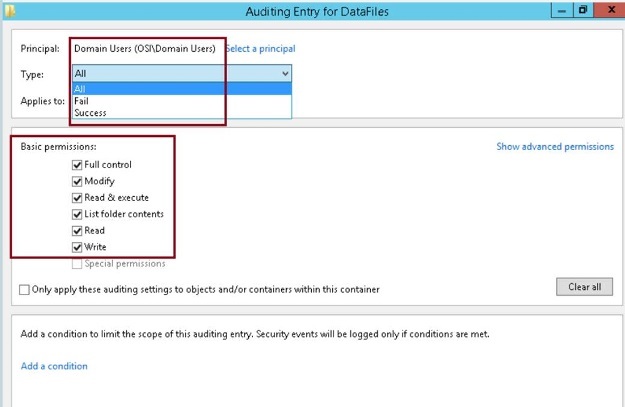 Who will help me to understand how to use the additional setting " Add a condition to limit the scope of this auditing entry. Security events will be logged only if conditions are met. " in " Auditing Entry for DataFiles " setting? What I want ask the community about is open source remote desktop environments (RDP/RDS). Is there an open source server and client environment that mirrors as closely as possible Microsoft's RDS session host environment? There are a lot of pieces out there. Has anyone put them together to create a Linux server that can host multiple user logons simultaneously and run common Libra/OpenOffice applications? Are there other solutions? Let me know. Question: What can possibly go wrong with something like this? Think of how it might affect yourself in particular. I find this trend a little disturbing. It's not always about someone's willingness to embrace technology. I think it's more about trust, privacy, power and control. Besides, what am I going to bury in the back yard for getaway money? Fact: Luxembourg is set to become first country to make all public transport free in order to prioritiseenvironment and end some of world's worst traffic congestion. Question: When was the last time you took public transport instead of driving, cycling or walking somewhere? What's it like to use public transport in your city or country, and would you use it more often if it was free? Microsoft Ignite Tour - Feb 4-5, 2019 in Washington, D.C. Granting and limiting permissions is one of the most important duties of an Azure administrator. Here's an easy way to check your current RBAC permissions. About 90 percent of Windows operating systems operations can be managed using PowerShell. Here are some useful PowerShell commands to get you started. Docker Enterprise 2.1 is now available. Here's what's under the hood of this version of the popular enterprise container platform. 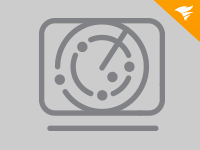 SolarWinds has introduced a brand new product called Server Configuration Monitor that is designed to help organizations to detect changes to a server's hardware and software configurations. More than 1 million electric cars have been sold worldwide. The future looks bright as we head to 2019, especially for these hot startups. Microsoft is finally entering the DaaS space -- with full desktops, not just apps or infrastructure -- in a big way. Read more about the company's announcement of a new Azure service called "Windows Virtual Desktop", which will utilize multi-user Windows 10. Remote access tools, help desk systems and others are essential to managing end users. Without these tools, IT would have a much tougher time with even the simplest tasks. Learn more here. Low-code development platforms enable IT teams to push out apps faster with fewer resources, but for some organizations low-code comes with challenges. Read on to learn about the use cases and potential drawbacks of low-code development. Microsoft moves to meet customers where they currently are, rather than only pushing them to modernize. Learn more about Microsoft's announcements relating to modernizing apps.